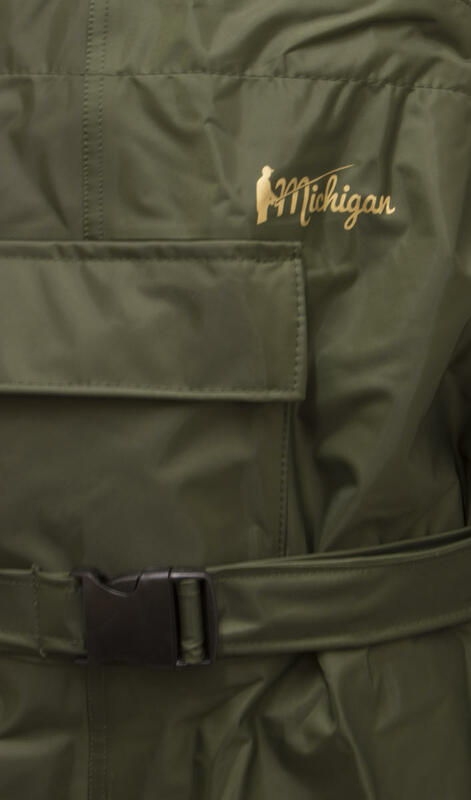 The Michigan Olive Nylon Chest Waders are the best quality waders you will find on the market. Made from 79D nylon fabric with a PVC coating, these are 100% waterproof and are perfect for fishing in all conditions. Double stitching hermetic waterproof take on all of the seams further reinforces the waterproofing. 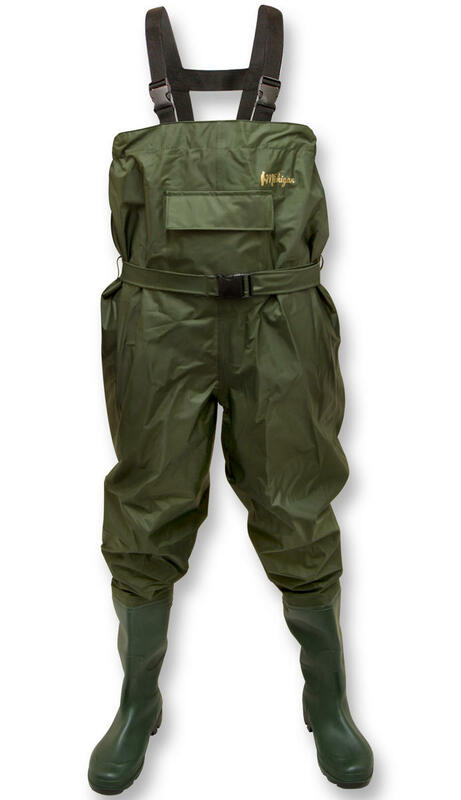 Each pair of waders comes with an elasticated waist, adjustable elastic suspenders with quick release buckles and an adjustable belt; this allows the chest waders to fit any body size. First pair i orderd were a little tight,so sent back and received larger size within the week. Very pleased with this product,,,,,,now able to clean pond.